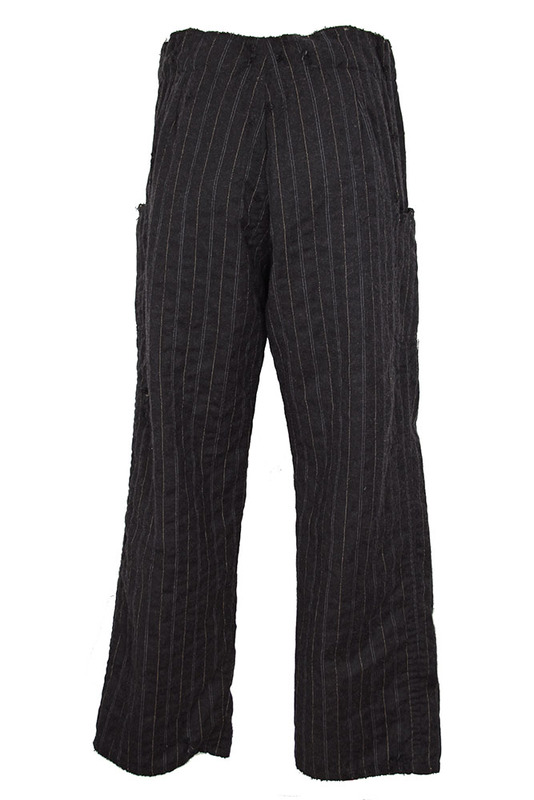 Magnolia Pearl one-size, unisex, cropped, black wool pinstripe, OKeefe Pant, Modernism. 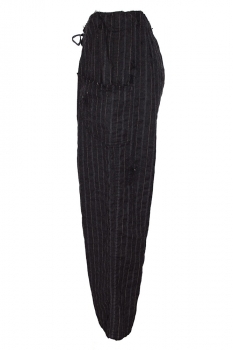 Drawstring waist and buttoned fly with hiding placket. 2 curved, side patch pockets. Fully lined in stitched, black cotton. Some distressing and raw edging. Superb trousers, perfect for the winter, highly recommended.